The Friends is an independent, non-profit group dedicated to supporting the U.S. Fish and Wildlife Service Refuge System. We promote awareness of the Alamosa, Baca, and Monte Vista National Wildlife Refuges through education, assist in accomplishing refuge projects, and support recreational activities. Read all about it! Your 2019 Newsletter is HERE! Become a member and support your National Wildlife Refuges in the San Luis Valley. 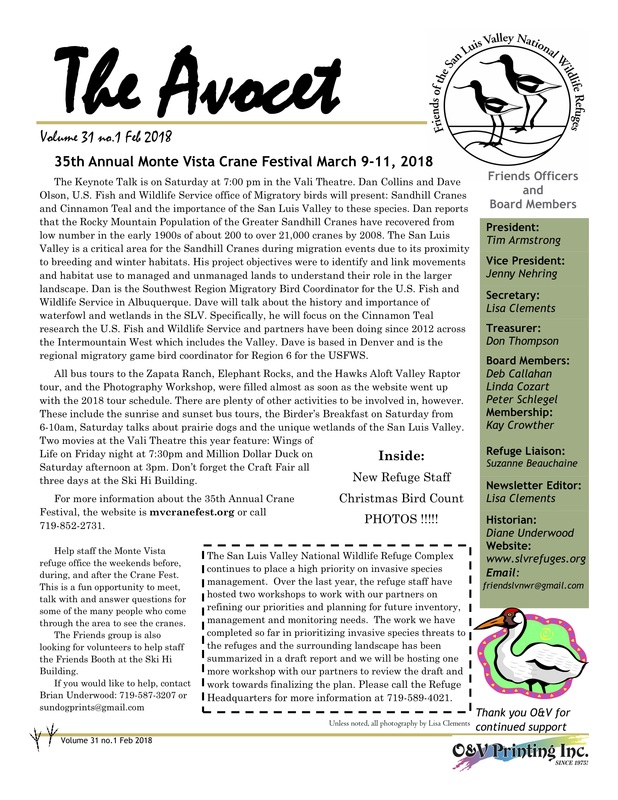 Home of the Monte Vista Crane Festival, Kid's Crane Festival and thousands of acres of wetland habitat supporting many species. Truely a treasure of the San Luis Valley.